It's hard to believe that our sweet little rainbow baby is eight months old already! I snapped these sweet photos the other day while she was playing and I knew I needed to share them here. You can see her personality shining through and that bonnet, come on! 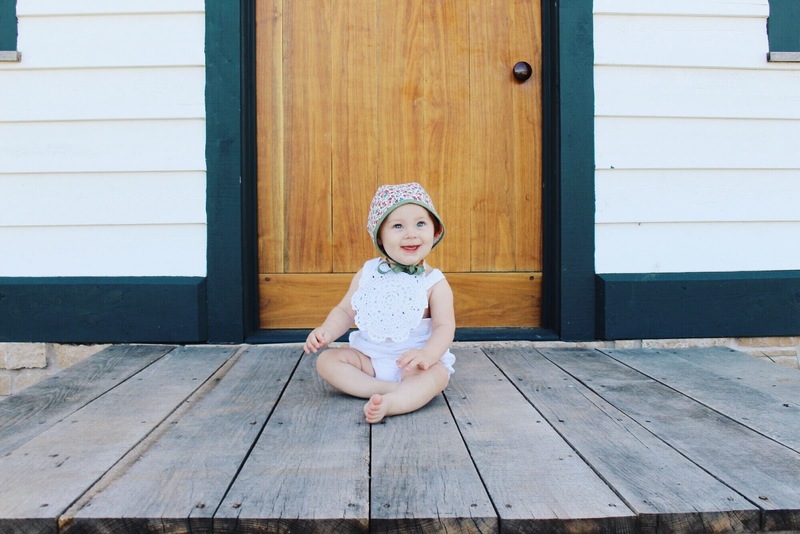 Crochet Bib // Little Dribble Co.